Dungeons & Dragons: Tower of Doom is the first of two scrolling beat 'em ups Capcom made about the best selling RPG series. 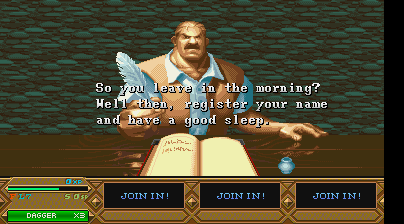 When you first start Tower of Doom, you will be in an inn and asked to enter your name. And who is the inn-keeper? Mike Haggar! 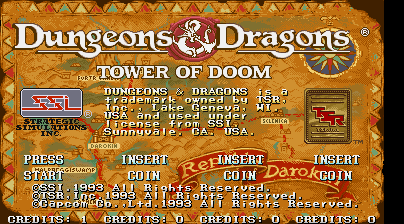 Tower of Doom was initially released in arcades. It was later released on the SEGA Saturn, in a Japanese exclusive two pack which also included the sequel, Shadow over Mystara.